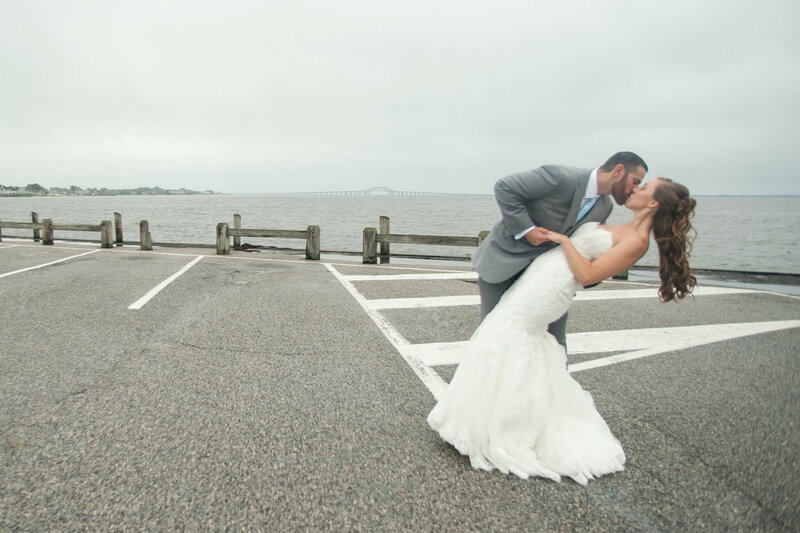 Family and friends were a HUGE part of Bridget and Patrick's Long Island wedding day in July. Their childhood homes were filled with loved ones mingling and getting ready in the morning. Toasts and speeches were incredibly touching and personal. From the moment I met them for their engagement session in the summer of 2016, I knew that my journey with them would be memorable and breathtaking. 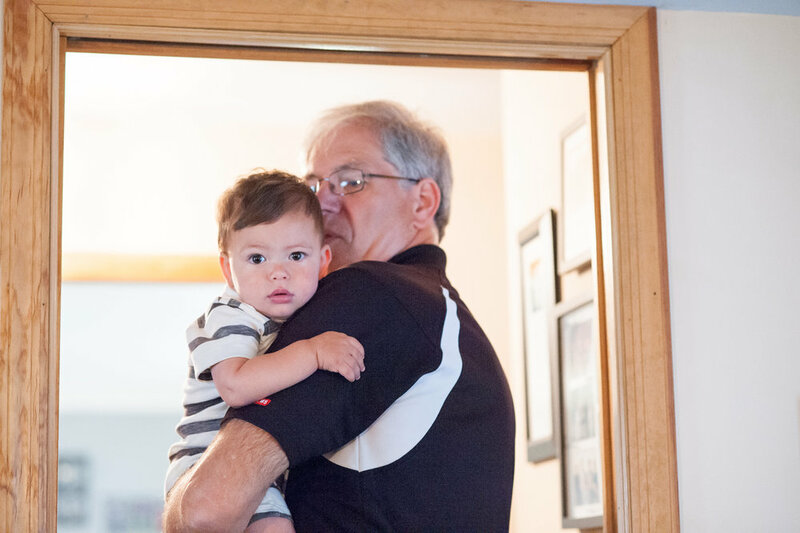 While my second shooter joined Patrick for his getting ready time, I was lucky enough to be a part of the bustling, loving Quinn home for a few hours. Bridget was calm and steady as she got hair and makeup done and her favorite ladies, sweet little nephews and others kept her caffeinated, laughing, organized and at peace. 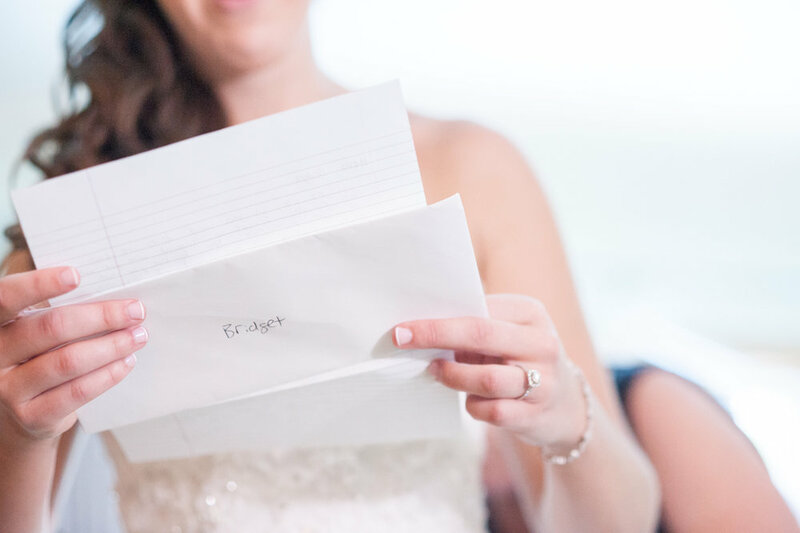 It was so special when Bridget gave her parents a letter thanking them for helping her create her perfect day and also when she read a sweet love note from Patrick. Those quiet moments of love and gratitude were so lovely. Bridget's childhood church was filled with loved ones and the beautiful ceremony was officiated by her Godfather, who really captured the essence of Bridget and Patrick and their love story. We had to get the umbrellas out as Mother Nature poured rain on our day that was supposed to be filled with important outdoor photos, but everyone just kept on bringing the smiles and the happy thoughts and after bridal party and family photos were over, we lucked out with the tiniest of clearings in the clouds and Bridget and Patrick trusted us to capture some magic outside in the very spot where Patrick proposed those many months before. Being in that spot overlooking the water was not only incredibly significant to their love story, but it also provided some of my favorite images of 2017. Patrick's best men shared some of the best groomsmen toasts I've ever heard -- they showed the power and longevity of their friendships and had just about everyone in the room crying. And the pride and love from Bridget's sister Meghan was so moving. Let me tell you this -- you have never partied with the Quinn family until you hear the first few notes of "Sweet Caroline" and see dozens of people of ALL ages grabbing linen napkins, wearing them on their heads and standing on chairs while singing along. It was SO much fun. 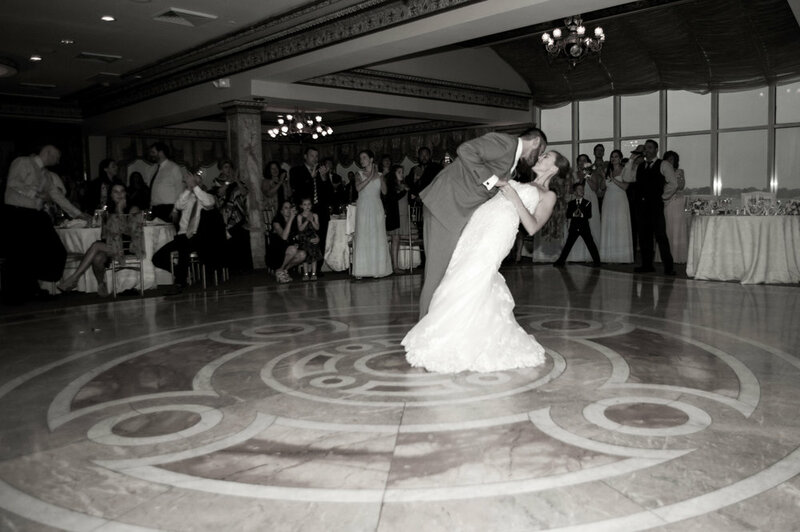 Enjoy this glimpse into an incredible wedding day!